Inspired by the magic of Christmas Sephora Winter Wonderland contains 24 surprises from Sephora own brand makeup, bath, hair and accessories. Discover the wonderful world of beauty and all the surprises that await you daily hidden behind snowy windows, for a touch of fun and magic everyday until Christmas! 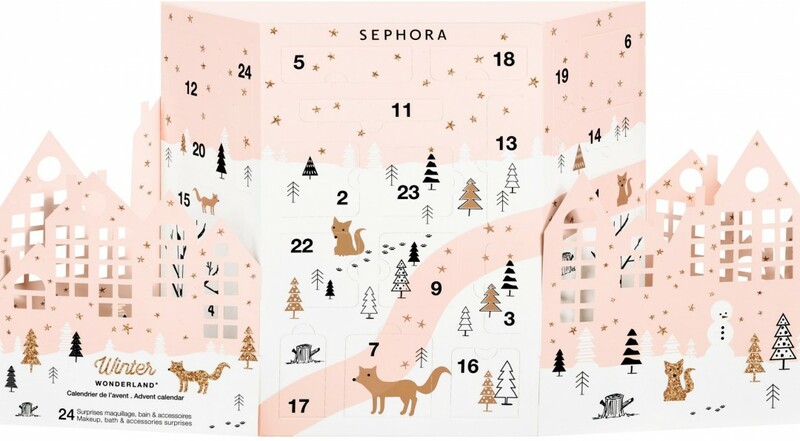 The Sephora Winter Wonderland Advent Calendar 2017 Available Now!